Rest assured that WestAir takes great care to ensure the purity and accuracy of the gases you purchase. Your gases have been sourced, mixed and packaged according to not only many industry standard practices, but also proprietary policies and procedures developed by WestAir over the last 60 years. Below are some of the key certifications earned by WestAir by complying and exceeded many standard practices. 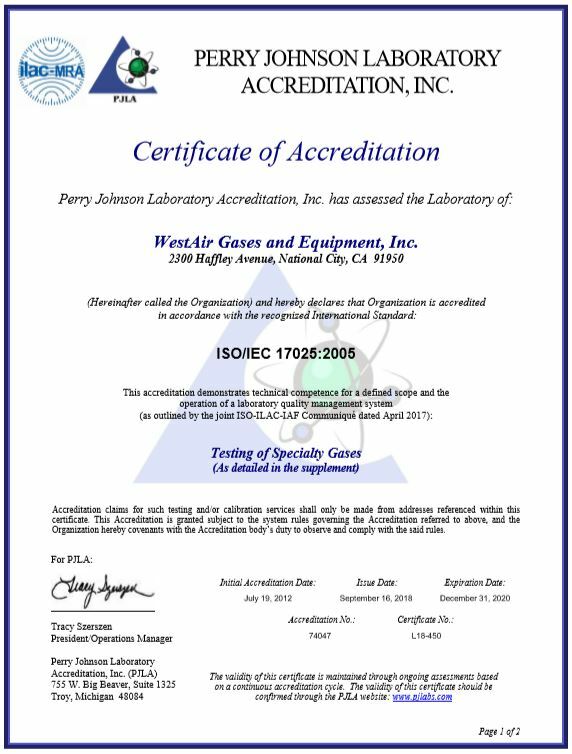 As part of WestAir's ongoing efforts to ensure the availiability of high-quality gases, WestAir recently received ISO 17025 accreditation for both the calibration of equipment used to test the gases you purchase, and also the actual accuracy of the testing performed. 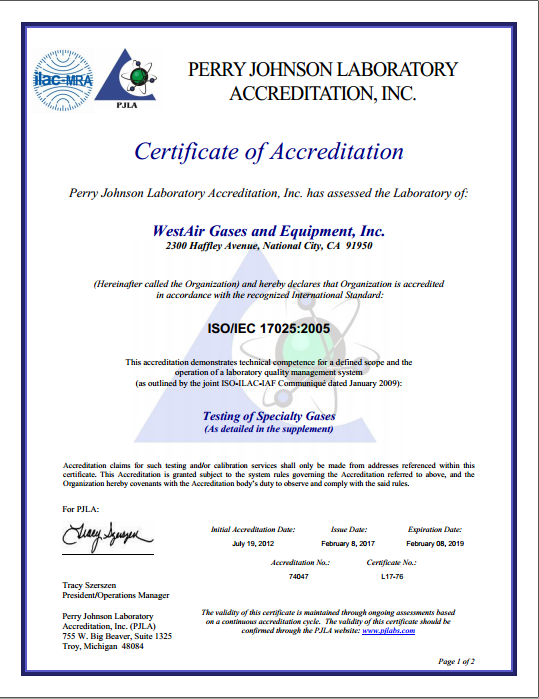 Please click on the images below to view the complete ISO Certificates of Accreditation.